Yesterday someone from my homeowners association taped a flyer to my door listing 16 things we’re not supposed to flush down the drain, including bandage wrappings, car oil, paper towels, and toys. I assume the reason they did that is because somebody has been clogging the drains with those things. We can assume that if the bishops felt they had to emphasize the need for us to participate, it was probably because not much participation by the people in the liturgy was happening at that time. But why did they name active participation in the liturgy as the top concern? Of the multitude of things the Catholic Church has to be concerned about, why is something like getting people to respond and sing at Mass and other sacraments so important? 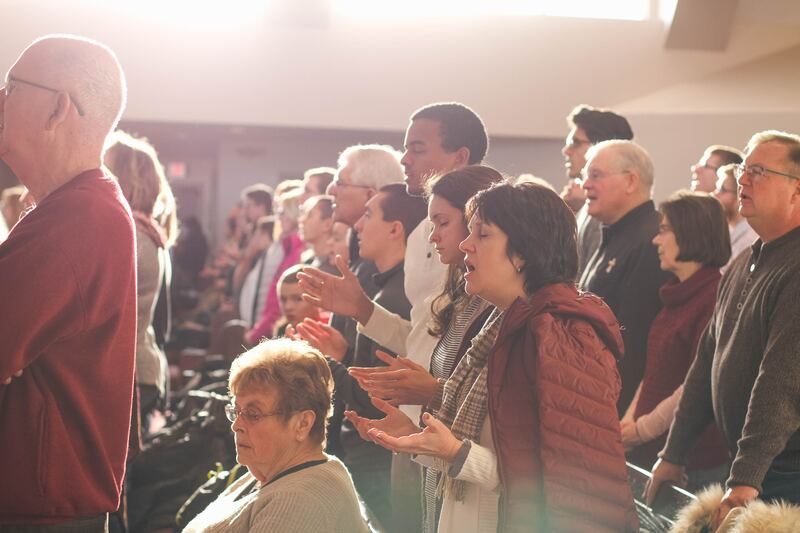 When we think of full, conscious, and active participation in the liturgy, there are many factors to consider, and assembly singing is paramount. The most important criterion for selecting liturgical music is does the song activate people’s prayer? Now what the church means my prayer in this instance is communal, liturgical prayer. The public liturgy of the church is not the time for private prayer, as important as that is. Liturgy supports our private prayer, and private prayer leads us to the liturgy. But they don’t take place at the same time. So what is liturgical prayer? The first action of liturgical prayer is listening. When we first think about it, listening might seem passive — not active. But liturgical listening is truly active. We are listening to God speaking to us as church. What is God calling us to as a people at this moment in time? When I am praying privately, meditating on God’s word, I can, with the help of the Holy Spirit, discern what God is calling me to. But how do I know what God is calling me to as part of the People of God? There are a few different ways, and among them, assembly singing is essential. When we sing together as a body, our singing joins us together in my mind and one spirit. Singing is a multivalent activity that reveals God’s will for us on many levels. When we sing, we have to use our whole body, every “body” working together to make music. When we sing our hearts are moved and often changed. Singing also speaks to our minds. Often, a song will stick with us, and we will hear the words of the song resonating in our heads long after it has been sung. Often the message of the text is a message God wants the church to hear. Singing makes us move. Sometimes people will tap their foot, sway, or even clap when a song moves them. But even if none of that happens, our hearts beat a little differently, our lungs take in more air, and our skin responds to the action of singing. Our bodies are telling us something when we sing, and that something is God’s message to us. Assembly singing is a powerful force for active participation in the liturgy. When we sing, we open ourselves to hearing God’s call to us as a people. When we hear that call and respond to it, we are changed as a church. And when we are changed, the world gets a slightly clearer glimpse of what God’s reign of peace and justice is like. All of this is prayer. When we pray in private, our bodies are usually not quite so involved. But in corporate prayer, we have to breathe, move, think, speak, listen, and sing together. Liturgical prayer is a community action that requires everything we have to offer. A key way that we do that is through liturgical music that causes people to sing prayerfully. In a later post, we will look at some criteria for choosing music and some simple techniques for leading the assembly in singing. Image credit: Sarah Nolter, unsplash, CC0.